Nollywood actor, Nonso Diobi was recently involved in an accident, April 17, 2016. 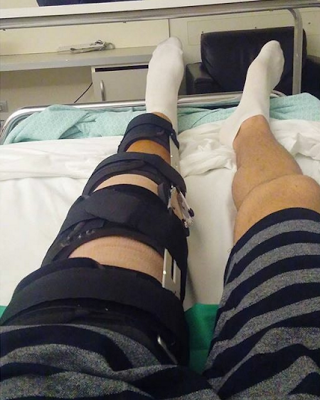 The actor who shared a photo of himself in the hospital with a cast around one of his legs has revealed he was abandoned by so called friends in the movie industry. He took to his Instagram page today, April 20, 2016 saying, "This past few days has been the toughest time of my life, some friendship started while some ended in this few days," he wrote, adding, "Sometimes God allows things to happen to good people just to show u who your REAL friends are... Its so ironic how those "friends" close to u never cared when u down ,those close friends of mine I talk to everyday even on the phone never showed any care or affection towards my situation.. Can't even count the number of DM's and calls I got from pple I don't even know or talk to just to check up on me and no how they can help. Celebrities are also humans forget what u see on TV ,they feel pain and they also try to reach out to pple, most people that HV met me or talked with me can bear me witness that I'm not one of those celebs that are rude, proud and acts like a god.... Its so sad when I tried to reach out to most people this past few days all I got was the " I DONT CARE SIGNAL" And it has made me realized that most people I v got around me are just there cos of the name, celebrity status and fame, just wanna say a big thank u to all those people that I don't no or talked to but yet check up on me everyday and even tried to help my situation... Pls be careful of FRENEMIES....I love u all regardless." 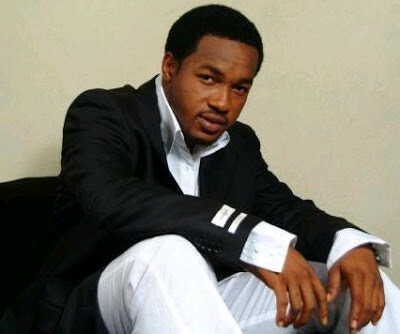 Nonso Diobi who is blessed with movie star good looks, joined Nollywood in 2001 and has featured in several movies to date. In 2008 and 2009 respectively, he won the award for Best Supporting Actor at the Africa Movie Academy Awards (AMAA).